I was so excited when Telltale Games announced it was going to bring its games to the Mac. I only knew about the company because it developed Strong Bad's Cool Game for Attractive People (SBCG4AP), a popular PC and WiiWare game based on the Homestar Runner universe. I was thrilled to find out that Telltale Games was even going to let people vote on which game would be the second one to get ported to Mac (the first was Tales of Monkey Island, which was released simultaneously with the Mac announcement). 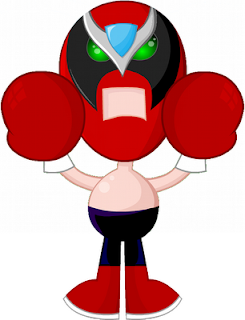 Strong Bad should have been a shoo-in; it was up against Sam & Max and Wallace & Gromit, and early numbers indicated that the latter wasn't even close to getting the most votes. Naturally I was dismayed when the announcement came that Sam & Max had won (by a very, very slim margin; I checked the votes earlier in the day). But it wasn't a fair fight at all. The good folks at Telltale Games made a critical error in the voting form; Sam & Max (which was listed first) had its vote button preselected, so anyone who accidentally submitted the form without first changing their selection would unintentionally cast a vote for Sam & Max. But that wasn't the only problem. To make matters worse, the form only allowed one vote per IP address. If you accidentally voted for the default selection instead of the one you really wanted, you had no way of changing your vote or casting an additional vote for the one you had intended to vote for. Furthermore, there was no way to check on the current status of the poll before voting, so some people probably cast their one and only vote for Sam & Max when they expected to be able to go back and cast a vote after finding out who was winning so far. What about households with more than one gamer? Since only one person per IP address could vote, whoever got there first stole the opportunity from everyone else who lived in the same home, worked at the same company, or otherwise shared the same IP address with other gamers. 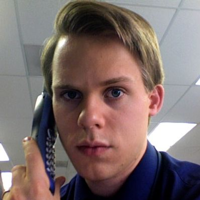 I understand trying to prevent clever individuals from stuffing the ballot box using methods such as deleting cookies or voting with multiple browsers or multiple computers, but one vote per IP address simply wasn't a fair way to do things because it prevented many people from being able to cast a vote at all. And what's more, for most home users it's actually fairly trivial to change one's IP address and vote again, so even restricting the poll to one vote per IP address couldn't really have prevented determined individuals from voting as many times as they wanted to. Perhaps prefilling the voting form wasn't an oversight after all. Might it have been a devious plot by the company (or at least the webmaster) to give their favorite game the edge it needed to win the vote? Maybe Telltale Games had already been working on porting Sam & Max to Mac and didn't want to put it on hold to work on Strong Bad, so they decided to give Sam & Max a little boost. Whatever the case, Telltale Games did a disservice to Mac gamers with their loaded poll and overly restrictive measures to try to prevent ballot box stuffing. Thanks a lot, Telltale Games. I mean, seriously, thank you for turning to the light side and committing to Mac development, and thanks in advance for eventually bringing Strong Bad's Cool Game for Attractive People to the Mac, but no thanks for your bias towards that other game.